Prof. Hani Kahil, a Consultant to the Minister of Higher Education, paid a visit to the faculty of Engineering- Pharos University on Tuesday 29/5/2018 where he was received by Prof. Mohamed Gaber, the Dean of the faculty of Engineering. 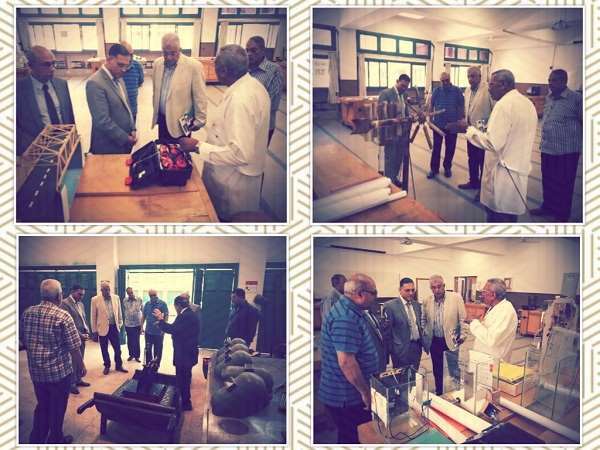 In company with Prof. Mohamed Gaber, Prof. Hani Kahil was taken in a guided tour to inspect the faculty’s facilities: the departments’ labs and workshops as well as the projects conducted by the faculty students of different departments and classes. During the visit, the facilities of the labs and workshops of the faculty of Engineering were highly commended by Prof. Hani Kahil.